Curves and a Camera: Why Paint the Peacock? Okay, maybe they weren't peacocks... and the reason I painted them was turn them into vultures. Wait...what was the question? Oh yea! Painting birds. 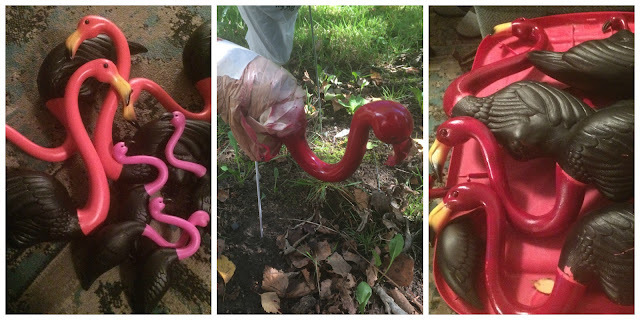 Months ago someone tagged me on Facebook in a post transforming lawn flamingos into vultures. I was in love and determined to do it myself. 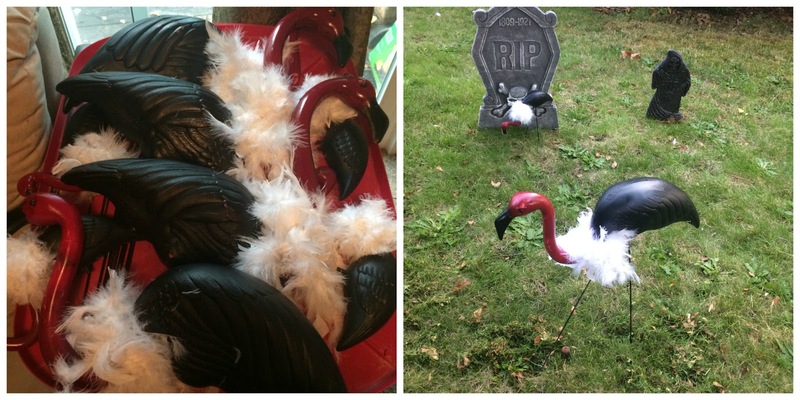 So I started searching and buying flamingos, spray paint and feather boas. It took a few days - waiting for dry days in the PNW isn't a quick process and then waiting for the paint to dry of course - but in the end they made great lawn decorations and with the added touches of a "Graveyard" sign and a pile of bones it was just perfect! 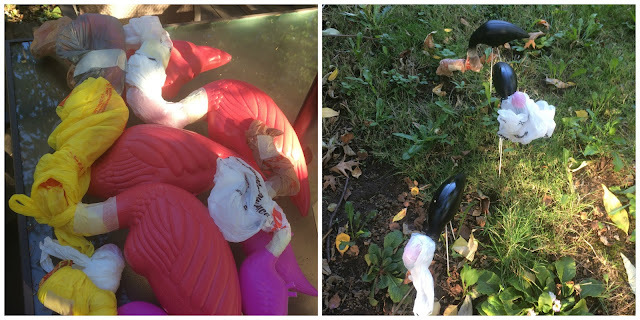 Once they dried I reversed the plastic bags to spray their heads/necks with a matte maroon and figuring out how to paint their beaks black. I was loving how they came out. The painting was tricky with some slight PNW winds kicking up now and then. I had some casualties of paint on hands, the back deck and the outside table. The final stage was to attach some feather boa around their necks! The funny thing was over time (outside in the PNW autumn weather) the boas started to droop and get dirty which just made them even more authentic. They took a few days but in the end they were so worth it! What is your favorite DIY holiday decoration?